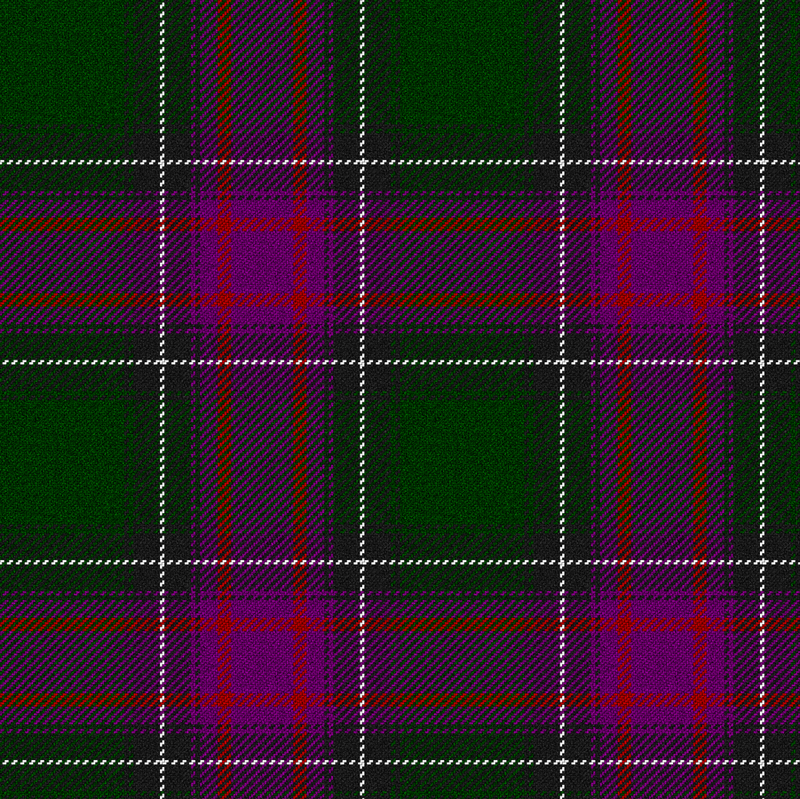 New Hampshire State Tartan; Photo by Celtus/Wikipedia (Use Permitted with Attribution/Share Alike). New Hampshire adopted New Hampshire as the official state tartan in 1995. Purple represents the state bird and flower (purple finch and purple lilac); green represents the green of the forests; black represents New Hampshire's granite mountains; white represents the snow; and red represents all the state heroes. Tartan refers to fabric woven into plaid patterns representing clans (families) or regions in Scotland. Tartans can also be designed as a symbol commemorating a special event or person. In old Scotland, the tartan was used for clothing and as a banner or flag. Because a family or community worked the cloth together, their clothing was made of the same patterns, and so a person could be recognized by the Tartan plaid that he wore.